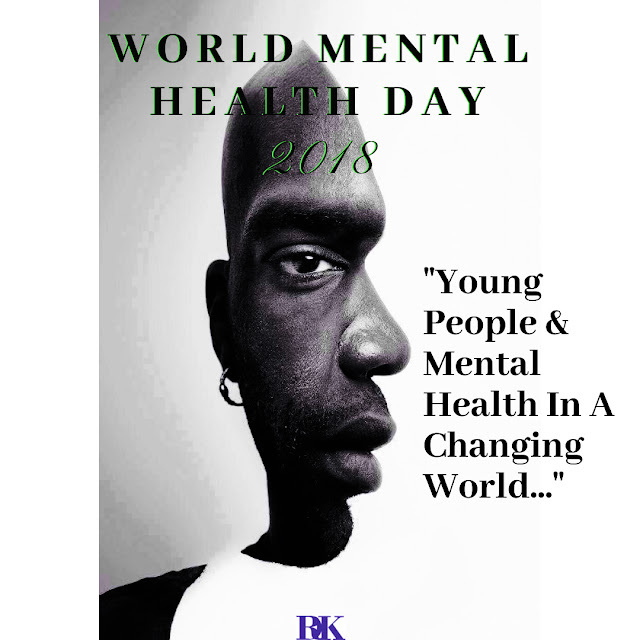 World Mental Health Day 2018: What About "Young People & Mental Health In A Changing World"? This year, the theme for "World Mental Health Day 2018" is "Young People And Mental Health In A Changing World" and the big question is "what about it"? The world has changed a lot in the last 10 to 20 years, compared to what it used to be and whether our older generation choose to accept the fact or not, more than ever before, people are at greater risk of tilting into the dark side mentally and young people are at the heart of it all. "During our time this and that would be the case and all of these...... would be seen as insanity", the older ones in their late 50's and above would say. Sorry the world is changing and all of whatever...... is no longer seen as insanity yet, new generation young brains have to accept and assimilate these new happenings as normal. War situations in various parts of the world now seem to be normal trend; diminishing economic circumstances in many parts of the third world now seem like normal trend; sexual orientations of all kinds are beginning to emerge and the vulnerable young ones are even getting more confused by the day. How about the incidence of moderate to severe depression and mid-life crisis amongst older youth? Etc. Such a theme for a focus of discussion was obviously long over due. 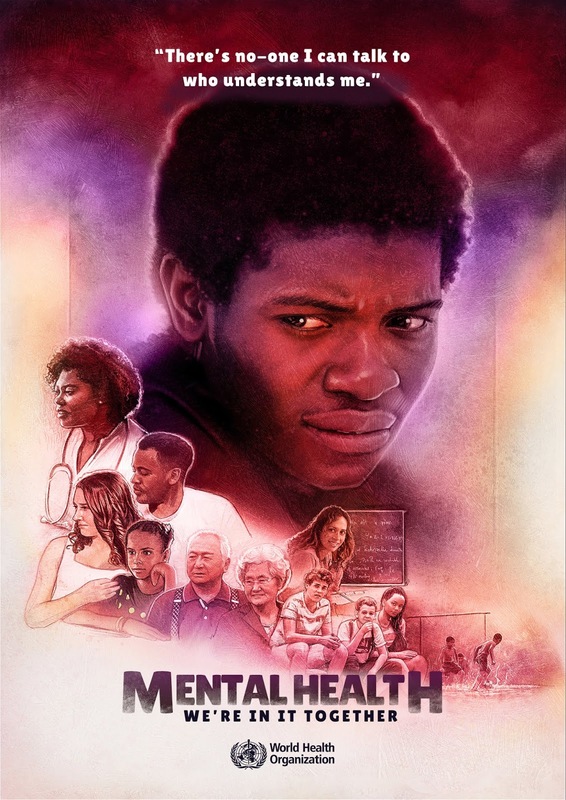 World Health Organisation (WHO) statistics indicate that mental illnesses can start from as early as 14 years of age but many a time go unnoticed until much later. Suicide has been identified as the leading cause of death amongst "15 to 29 year olds" worldwide and if you have really been in one of them fixated moods, then you will realise that, when support tends to be required the most, there really is no one to talk to. This year, as a Health related Blogging platform we are joining WHO to say,"Hello Youngster - WE ARE IN IT TOGETHER - IF YOU HAVE NO ONE ELSE TO TALK TO - TALK TO US". You can always send a message via our "CONTACT FORM" located towards the bottom right hand corner on the home page or any other page of this Blog and be sure to receive an email response in less than 24 to 48 hours. Otherwise you can drop a comment in the comment section of this article and someone will certainly get through to you. We have helped quite a few people and are happy to talk with and support much more people. Young people are the leaders of tomorrow and our minds must be guarded preciously, if we hope to have a sane world tomorrow to come. For more details and information about "World Mental Health Day 2018" click on the References below.